We recently celebrated my son's 4th birthday with a "Messy Boy Party" theme. I wanted something fun, memorable and really geared to little energetic boys. I thought about neat games we could do. 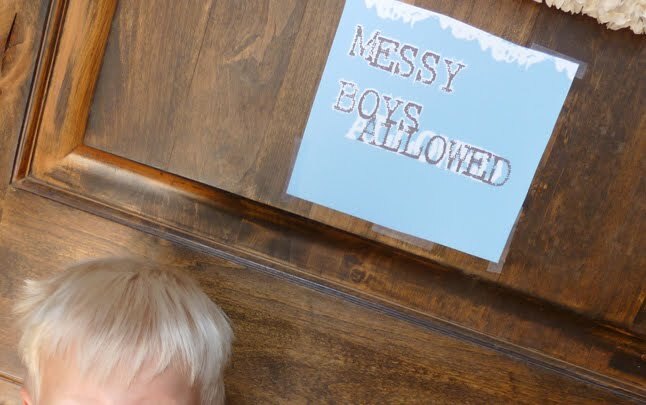 After all my ideas involved some level of messiness ... voila! That would be my theme! The Messy Boy Party! 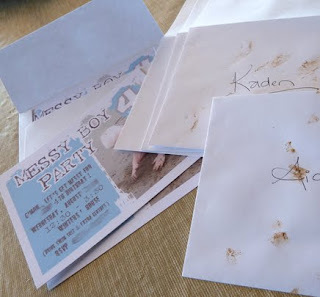 Next time I'll share the scoop on the Messy GAMES!!! As that was obviously my focus for this party. And then, a YUMMY ice cream cake that took shape as part of the activities!!! 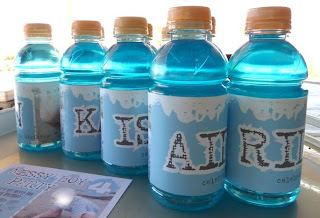 That has got to be the most ingenious birthday party idea for a boy I've ever seen! I can't wait for next June now so that I can do this for my DS. Hi! 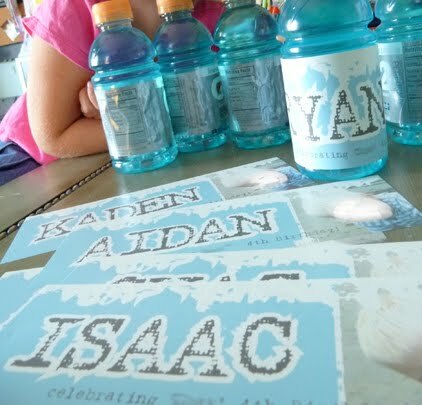 Could you share where you got your invitations? 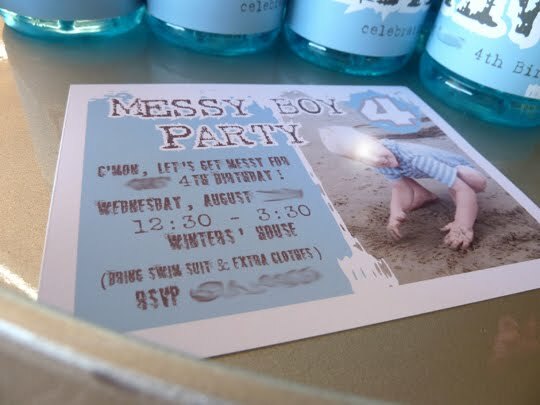 I am throwing a "messy" party for my son's 6th, and that looks perfect. Thank you!